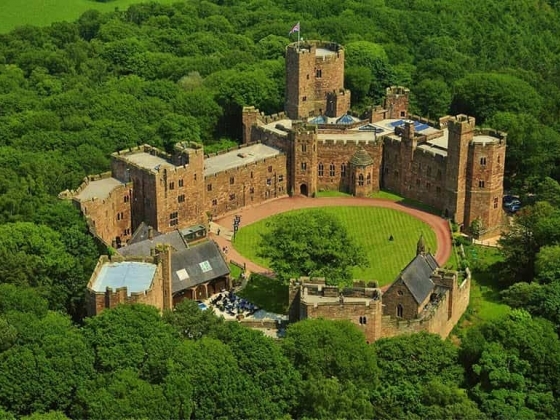 Passing through the country lanes of Cheshire you can view the Castle on top of the Peckforton Hills from quite a distance away, be it that the surrounding forest hides all but a small part. 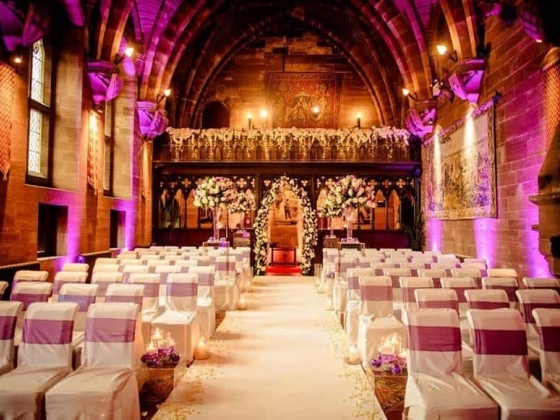 As you turn off the lane and pass through the magnificent gatehouse, your journey is almost complete but the amazing experience continues. 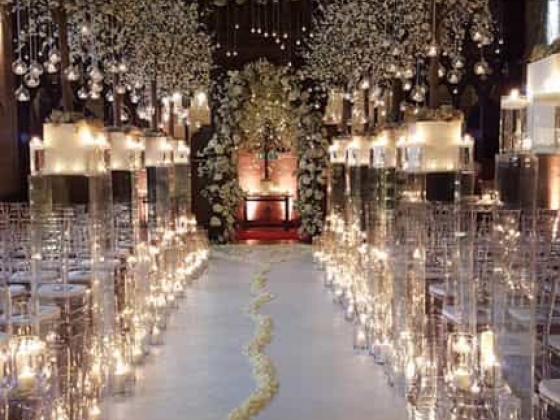 The meandering driveway takes you through the forest which in itself is of special scientific interest and then suddenly through the trees appears a large but beautiful fairy-tale castle. 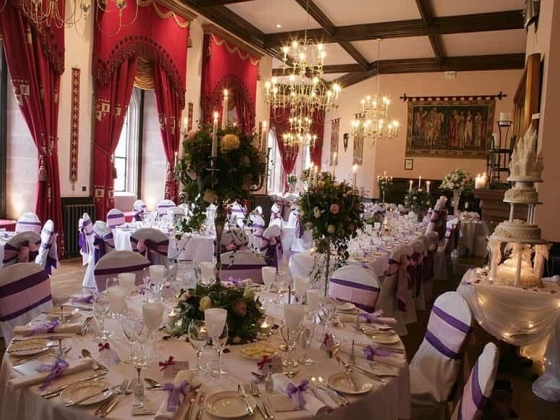 Originally the home of Lord Tollemache and built in the early 19th Century the Hotel is the only intact medieval style Castle in the country. 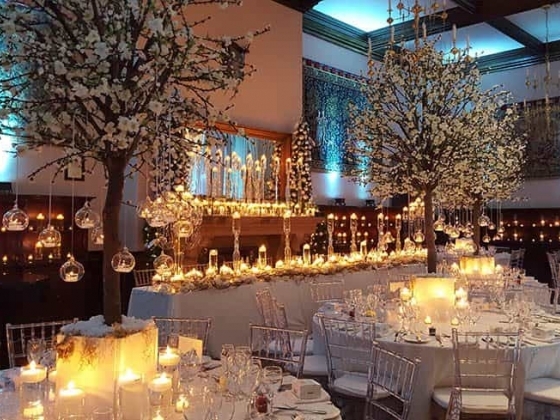 The stunning exterior has now been complimented by a lovingly refurbished interior which houses 48 bedrooms and truly magnificent entertaining rooms. 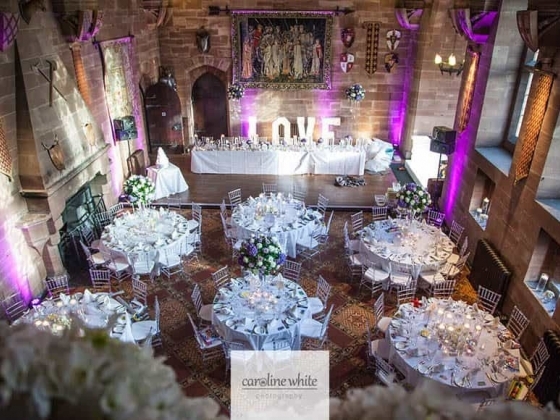 Hold your wedding and wedding breakfast in this breath-taking venue and enjoy the idyllic views of Cheshire. 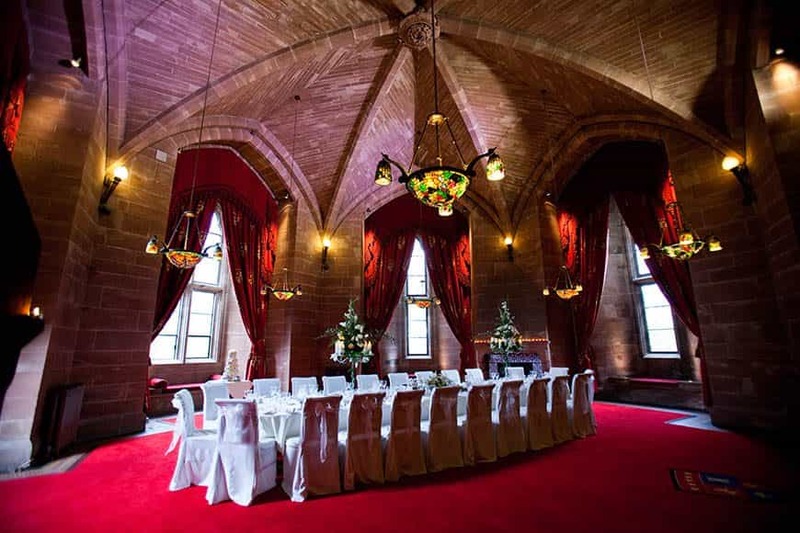 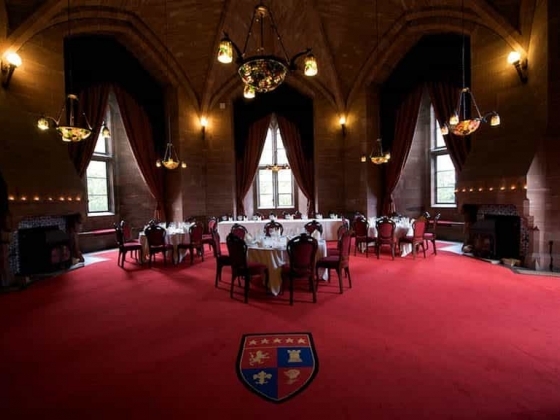 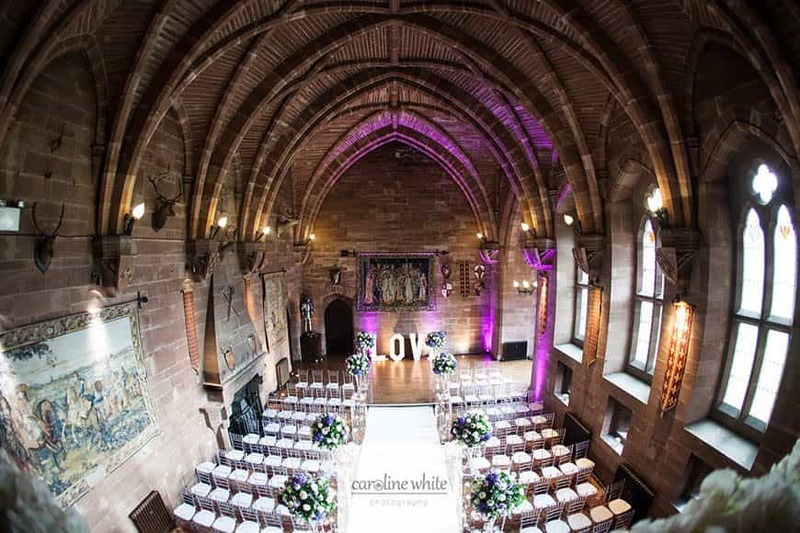 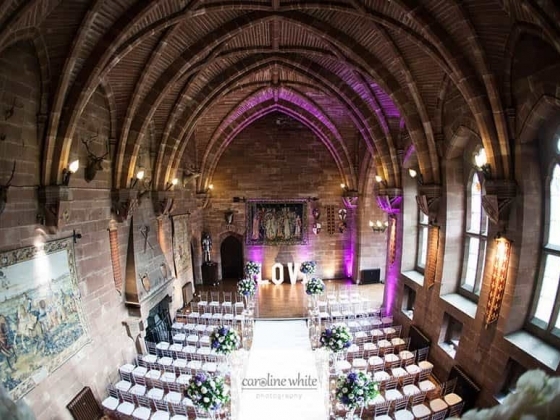 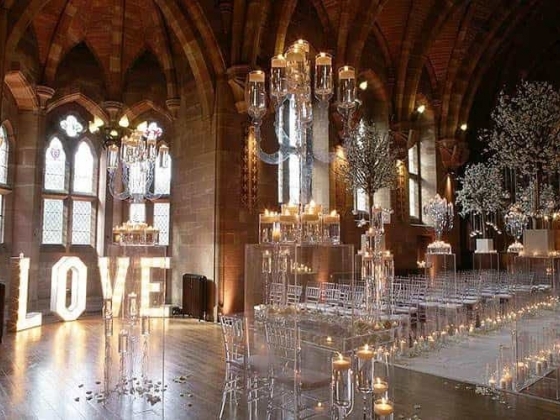 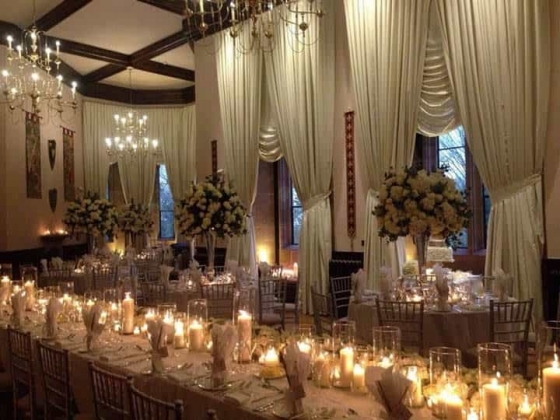 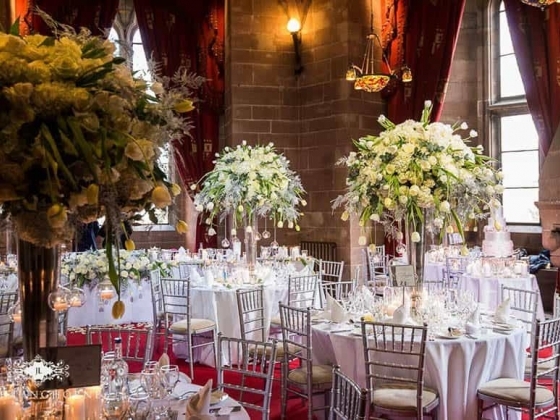 The Castle grounds, the red sandstone walls, the marble floors, the vaulted dining rooms and the open fires all make for vibrant photo opportunities. 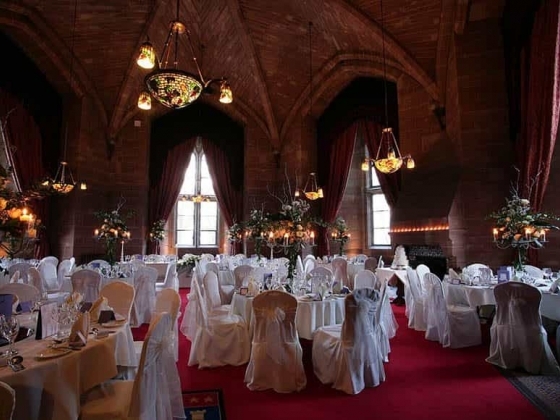 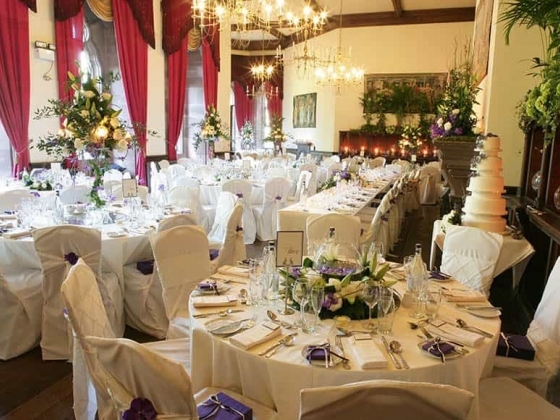 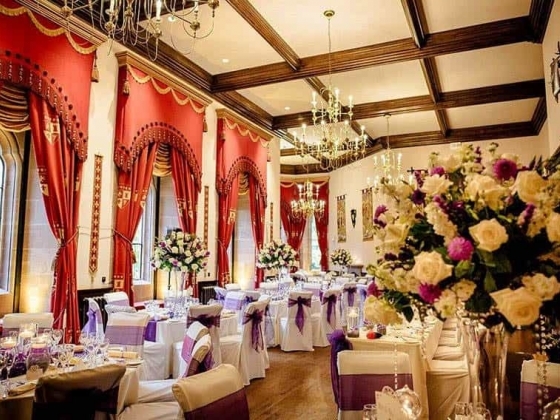 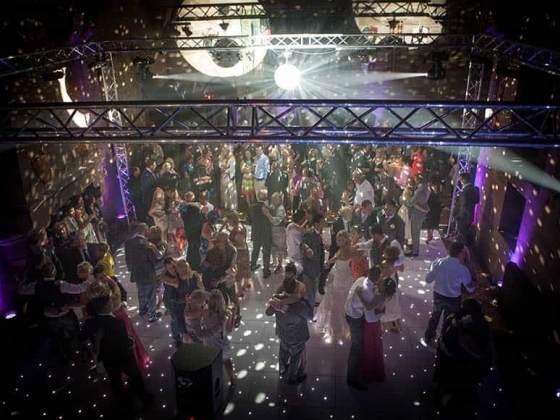 We also host civil ceremonies, with our five licensed rooms catering for any number of guests from 10 to 170. 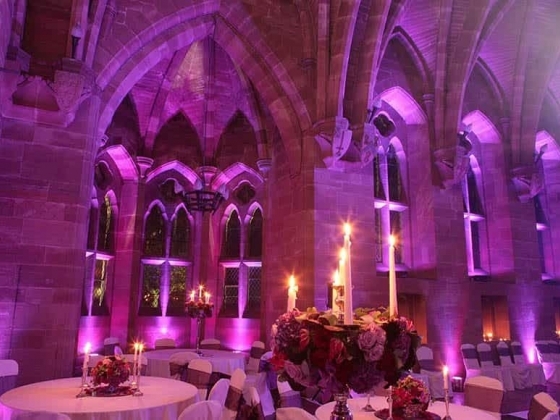 Exclusive use of the Castle can be arranged. 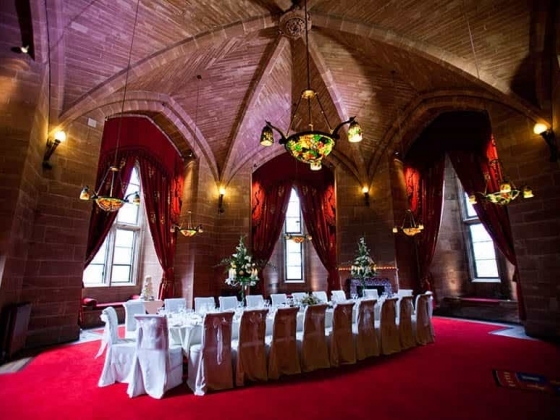 Venue Capacity: We also host civil ceremonies, with our five licensed rooms catering for any number of guests from 10 to 165. 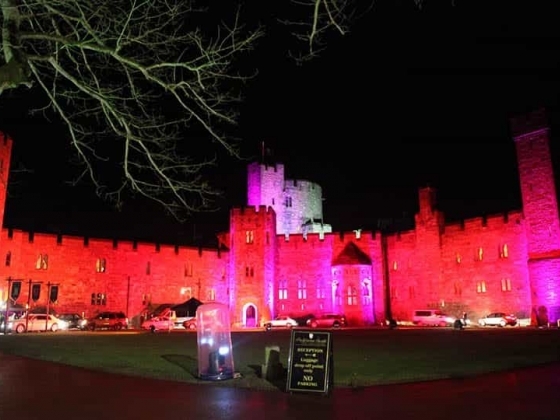 Accommodation: Our captivating castle offers 48 stunning bedrooms, all individually designed and beautifully appointed, blending luxury and contemporary decor. 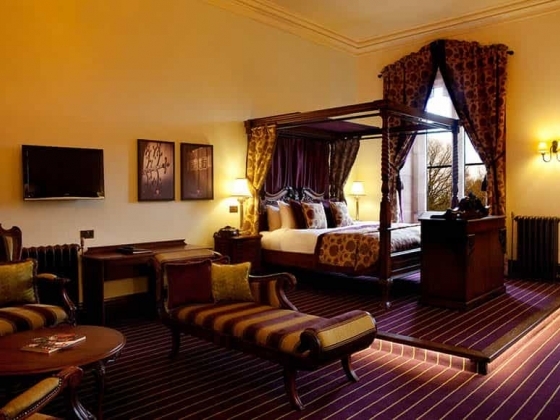 Spa Our spa is the perfect place to treat a loved one and even yourself - as a break from the regular, tired routine of your life.